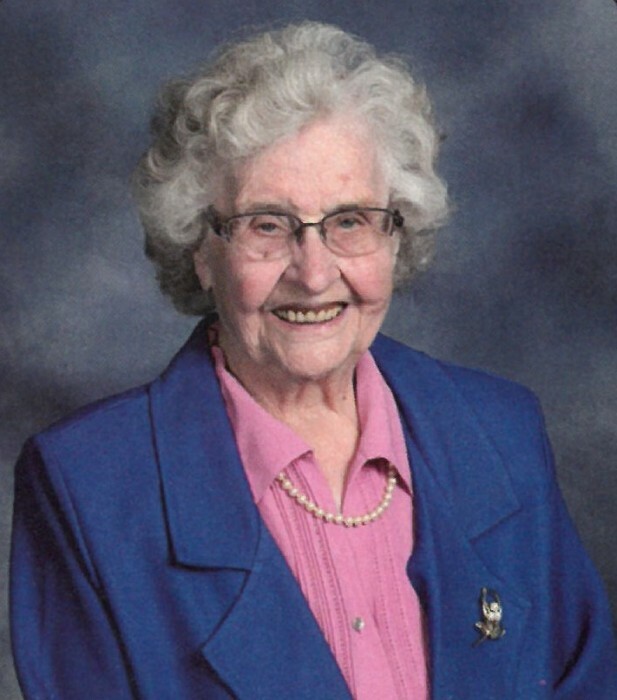 Helen M. Bateman, 96, of Cresco, Iowa died March 16, 2019, at Accura HealthCare in Cresco. Helen Marguerite Lienhard was born March 6, 1923, in Davenport, IA to Walter and Ida (Schorr) Lienhard. Helen married Walter Bateman in Hattiesberg, MS on March 27, 1945. To this union 7 children were born; John, Paul, Ruth, David, Thomas, Kathryn, and Steven. Helen served as the Howard County Treasurer for 18.5 years. She enjoyed bowling, volunteering, scrapbooking, writing letters, photography, flowers, and researching family history. Helen was a member of the Altar and Rosary Society, VFW Ladies Auxiliary, Hospital Auxiliary, and the Genealogy Society. Helen is survived by her children; John Bateman of Cedar Rapids, IA, David (Suzanne) Bateman of West Bend, WI, Thomas (Mary) Bateman of Waterloo, IA, Kathryn Bateman of Cresco, and Steven (Cheryl) Bateman of Cedar Rapids, IA, daughter-in-law Barbara Bateman of Newport, WA, son-in-law Bill Bruner of Rochester, MN, 15 grandchildren, 24 great-grandchildren, siblings; Madonna Davis of Bloomington, MN, Donald (Arlene) Lienhard of Waterloo, IA, Neil (Sarah) Lienhard of California, and Loren Lienhard of Cresco, sisters-in-law Grace Lienhard of Johnston, IA, and Carol Lienhard of Cresco. She was preceded in death by her parents, husband Walter in 1996, son Paul Bateman, daughter Ruth Bruner, brothers Robert “Bob” Lienhard, Travis Lienhard, and Gary Lienhard, grandson Michael Bateman, brother-in-law James Davis, and sister-in-law Dolly Lienhard.